The ultimate FRC drivetrain gearbox. Ball-lock shifter enables seamless “on-the-fly” shifting at full speed in a compact, light & durable package. The 3 CIM Ball Shifter ships disassembled. Please grease before assembly. Note: A pneumatic shifting cylinder and fitting kit is not included in the 3 CIM Ball Shifter kit. Be sure to add these below in the "Pneumatic Cylinder & Hardware" category if needed. VEXpro Ball Shifters provide a battle-proven 2-speed gearbox for easy integration into any FIRST ® Robotics Competition robot drivetrain. 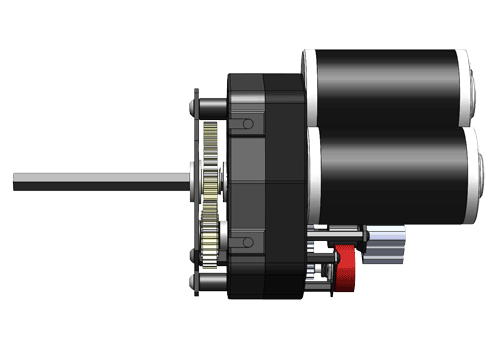 The 3 CIM Ball Shifter is the ultimate solution for a two-speed transmission in a competition robot. By utilizing a ball-lock style shifter, this gearbox is capable of “on-the-fly” shifting even when at full throttle. The VEXpro 3 CIM Ball Shifter includes mounting for one, two, or three CIM-style motors. The Ball Shifter’s lightweight plastic housing includes several features for face mounting as well as hex-nuts embedded in its sides which allow for edge mounting. The housing includes internal features which will keep motor screws from dropping inside the gearbox while they’re being installed. Every aspect of this transmission was designed with size in mind; this puts a 2-speed transmission into a tiny, lightweight form factor. The ball lock shifting method reduces the gap between the two gear reductions and allows for an extremely narrow assembly. The gear reductions were specifically chosen to reduce the overall transmission size and complexity while remaining highly efficient due to the AGMA 11 quality gears with teflon infused ceramic coating. 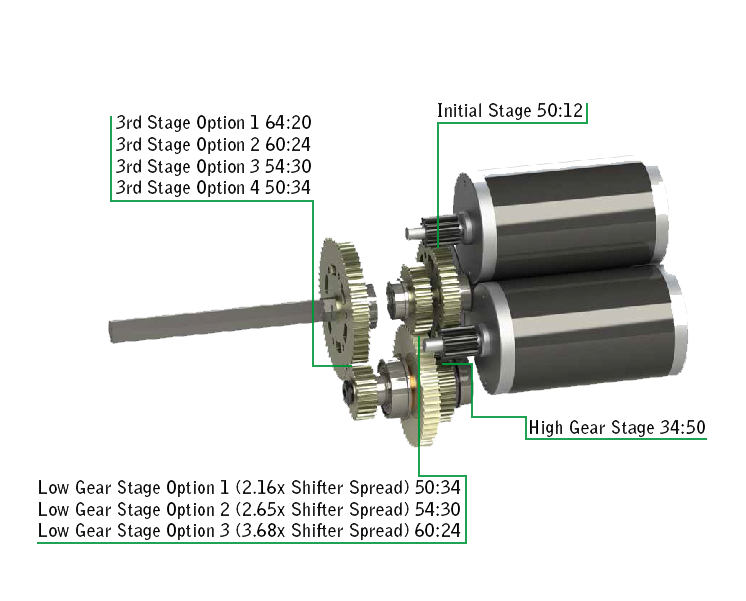 Multiple gearing options allow users to change the shifting spread between high & low gears to one of three options: 2.16x, 2.65x, and 3.68x. The 3 CIM Ball Shifter includes the option to come in a "West Coast Drive" (or "WCD") configuration. 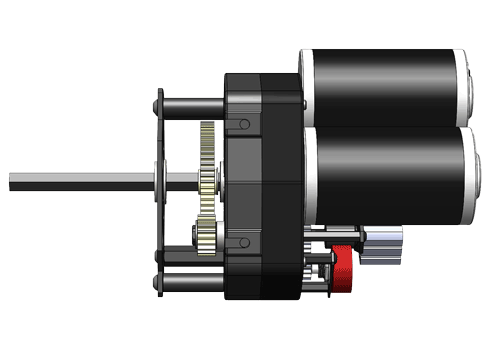 This style features additional space for a set of sprockets or pulleys to be contained within the gearbox assembly itself, bringing them close to the drive frame and making it easy to create a "West Coast"-style cantilevered drivetrain. The 3 CIM Ball Shifter 3rd Stage Kit can be used to upgrade an existing 2 Stage Ball Shifter to a 3 Stage version. The VEXpro 3 CIM Ball Shifter provides three different shifter spread options to teams. These options were chosen specifically to serve the needs of FIRST ® Robotics Competition designers. When designing an FIRST ® Robotics Competition drivetrain, teams typically try to ensure that the robot low-gear can survive a continuous pushing match (with high traction wheels) without tripping breakers. They then choose a high-gear which is "fast" enough to zip around the field, without being uncontrollable or accelerating too slowly.